Camfed is committed to safeguarding your personal information. Whenever you provide such information, we are legally obliged to use your information in line with all laws concerning the protection of personal information, including the Data Protection Act 1998. We take appropriate physical, electronic and managerial measures, such as utilising Secure Sockets Layer (SSL) encryption, to ensure that we keep your information secure, accurate and up to date, and that we only keep it as long as is reasonable and necessary. 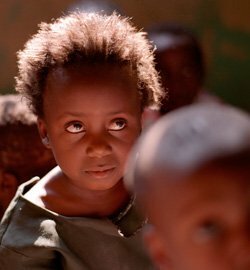 Camfed is a registered charity (charity number 1029161). 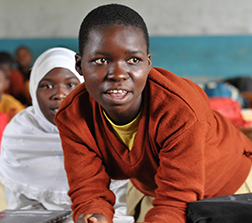 Camfed is also registered in the USA 501 (c)(3). Camfed's registered address is St Giles Court, 24 Castle Street, Cambridge, CB3 0AJ. 3. What information will Camfed collect about me? When you contact Camfed to make a donation, purchase an item online or sign up to any of Camfed's activities or online content, such as newsletters, competitions, or message boards, or you telephone, email, write to Camfed, or engage with Camfed via social media channels, we may receive and retain personal information about you. This can consist of information such as your name, email address, postal address, telephone or mobile number, bank account details to process donations and whether or not you are a tax payer so that we can claim gift aid. By submitting your details, you enable Camfed (and where applicable any sub-contractors we may use) to raise funds and to provide you with the goods, services, information, activities or online content you select. We do not usually collect "sensitive personal data" about our supporters, e.g. health status, unless there is a clear reason for doing so - such as participation in a marathon or similar fundraising event or where we need this to ensure that we provide appropriate facilities or support to enable you to participate in an event. Clear notices will be provided on applications for such events so that it is clear what information we need and why we need it. If you are simply browsing our website as an anonymous visitor, Camfed may still collect certain information from you, such as your IP addresses (an IP address is a number that can uniquely identify a specific computer or other network device on the internet). 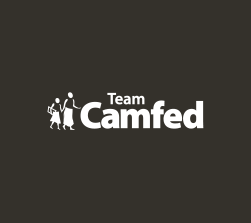 Camfed will only contact you for marketing purposes by email or other electronic means if you have agreed to be contacted for these purposes or where you have made a donation by text and have not opted out from receiving further information. Where you have provided your postal address we may send you direct mail about our work unless you have told us that you do not wish to receive such information. If you wish to contact us either to obtain information about our work or to stop us sending you such information please email us at notifications@camfed.org, call +44 (0) 1223 362 648 (Mon-Fri 9am-5pm GMT) or write to Camfed International, St Giles Court, 24 Castle Street, Cambridge, CB3 0AJ with the details. You may also opt out of marketing emails at any time by clicking the unsubscribe link in any marketing email from Camfed. 6. Will Camfed share my personal information with anyone else? Camfed will not sell your information to third party organisations, and we do not share your personal information with third parties for their benefit. We will only use your information within Camfed for the purposes for which it was obtained. Sometimes Camfed contracts third parties to process your information on our behalf. We require these third parties to comply strictly with our instructions and data protection laws. If you post or send offensive, inappropriate or objectionable content to or anywhere on the Camfed website or otherwise engage in any disruptive behaviour on any Camfed service, we may use your personal information to stop such behaviour. Where Camfed reasonably believes that you are or may be in breach of any of the laws of England and Wales (or the law of Scotland if you live there) (e.g. because content you have posted may be defamatory), we may use your personal information to inform relevant third parties such as your employer, internet provider or law enforcement agencies about the content and your behaviour. 8. How long will Camfed keep my personal information? We will hold your personal information on our systems for as long as is necessary for the relevant activity, e.g. we will keep a record of donations for ever. If you request us not to send you marketing information we will keep a record of your contact details and appropriate information to enable us to comply with your request not to be contacted by us. 9. What is Camfed's policy on allowing me to update, correct, or delete my personal information? 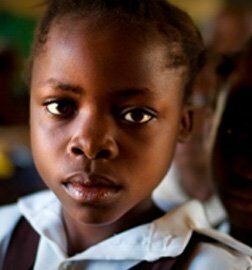 email us notifications@camfed.org or write to Camfed International, St Giles Court, 24 Castle Street, Cambridge, CB3 0AJ with the details. Information supplied in cookies also allows us to measure the effectiveness of online marketing campaigns for Camfed. This enables us to ensure any money we spend on digital marketing gives us a good return on investment.